History | Vermont Psychiatric Survivors, Inc.
Vermont Psychiatric Survivors was born in 1983 in the early years of Vermont’s ex-patient/psychiatric survivor/consumer movement that began in the late 1970s. In 1978, Paul Dorfner (aka Paul Engels), an ex-patient, began a closed-circuit television project at Vermont State Hospital (VSH). The project brought together VSH patients to discuss treatment and service issues. In 1980, Dorfner and two other Vermont ex-patients formed the Vermont Liberation Organization (VLO). Around the same time, the Vermont Department of Mental Health was starting to develop a five-year plan for mental health services. In 1982, the department spent $15,000 to fund six consumer and peer-run projects. 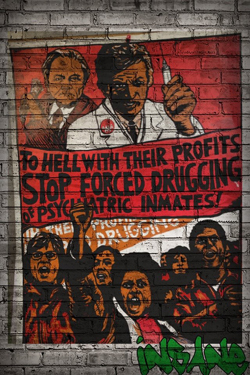 In 1984, mental health consumers, ex-patients, and psychiatric survivors testified at legislative hearings. VLO submitted a proposal for a mutual support and advocacy network to the state Board of Mental Health. A task force was created, one-third of whose members were consumers or ex-patients. In 1985, the Task Force Report recommended the development of a statewide advocacy system to be operated primarily by ex-patients. 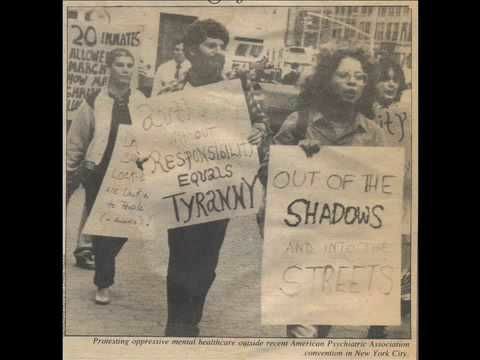 In 1986, the Department of Mental Health’s annual budget request to the Legislature included funding for consumer/ex-patient/psychiatric survivor advocacy and support groups. In 1986, the Department of Mental Health obtained a Robert Wood Johnson Foundation grant for transitional funding to enhance community-based service capacity. Funds from this grant financed the inception of Counterpoint, VPS’s quarterly newspaper that centers the voices of psychiatric survivors. In 1992, Vermont Consumer Development Grant incorporated and changed its name to Vermont Psychiatric Survivors, Inc. (VPS). VPS gained tax-exempt status in 1993. In 2018, Vermont Psychiatric Survivors refined its mission. Today, the organization’s mission is to provide advocacy and mutual support that seeks to end psychiatric coercion, oppression and discrimination.